The idea of a part-time professional wrestling contract is not exclusive to World Wrestling Entertainment or its Universal Heavyweight Champion. Brock Lesnar is not the only one in the history of pro wrestling to benefit from a part-time schedule, and be in the main event scene of a professional wrestling organization. This being said, speaking about Brock Lesnar is simply for the purpose of giving an example of a dynamic that I think needs to be changed by the executives that run pro wrestling companies in the United States and abroad. In the 1990’s there were several contractual deals made by World Championship Wrestling for former WWE stars that had a lighter work schedule as a perk of signing. Therefore this is not a new concept, however when it comes to someone having a contract such as this and holding an organization’s biggest title, I do believe WWE is setting a trend that I’m not sure the fans are happy with. Brock Lesnar is one of the greatest professional athletes on the planet, and as a special feature, he is worth every dime he is getting paid. 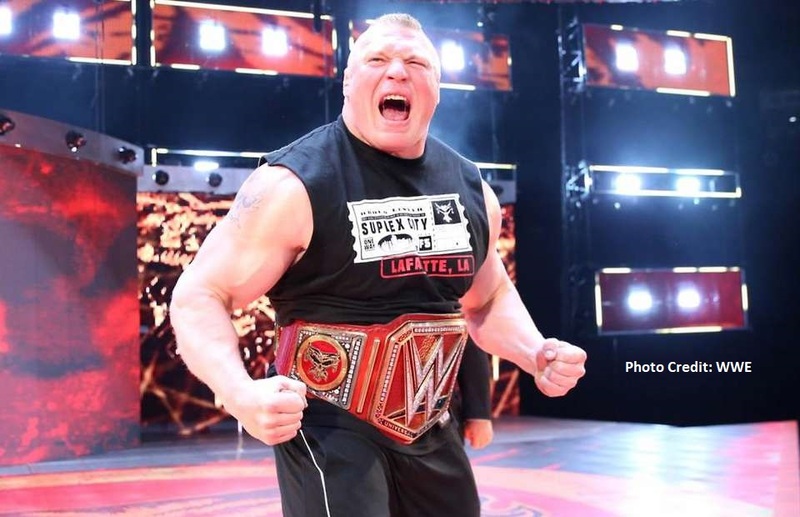 As a fan and professional wrestling journalist, I am happy to see Brock Lesnar walk down that aisle every single time his now iconic music hits, therefore, the problem is not Brock Lesnar, but instead it’s the idea of a part-time contracted performer being the company’s world (universal) champion. I understand the idea of a special attraction. There are some superstars that are simply not going to show up on television every single week. It may be due to spending more time with family, it may be due to needed rest or recovery time, or it may be due to other entertainment/business ventures such as movies, music, or television. All of these reasons to be off the show are understandable. The thing is though, the powers that be that put these shows together that we love as wrestling fans have to understand that having the champion of an organization be absent from the product for months at a time is not what’s “best for business”. As a young kindergarten child, I remember Vince McMahon bringing professional wrestling to epic heights with megastars like Hulk Hogan, Macho Man Randy Savage, Andre the Giant, and Rowdy Roddy Piper just to name a few. The National Wrestling Alliance was just as entertaining with big time stars as well, such as the Magnum TA, and The American Dream Dusty Rhodes, and a man many consider to be the greatest of all time Ric Flair. In the 80s professional wrestling (what some call the “Federation Era”) was amazing. There were some down times in the 1990s, but there were still big stars who helped pave the way for the product we enjoy today. Superstars like the members of the NWO, D-Generation X, Stone Cold Steve Austin, The Rock, The Undertaker, Goldberg and many others brought in the Attitude Era and changed the face of professional wrestling forever. Revolutionaries like Vince McMahon and Eric Bischoff gave the wrestling fans something to look forward to each and every Monday night along with monthly Sunday pay-per-views that set the wrestling world on fire. That being said, there was never a time this writer can remember when the world champion was not on the show for an extended period of time. Yes, the world champ might miss a week or two, but for the champion of a major wrestling organization to be gone for months at a time is not fair to the fans, even if that champion is a world-class Superstar like Brock Lesnar. Don’t get me wrong, I don’t disagree with the idea of a part-time contract for a special attraction. Brock Lesnar is the very definition of a special attraction. 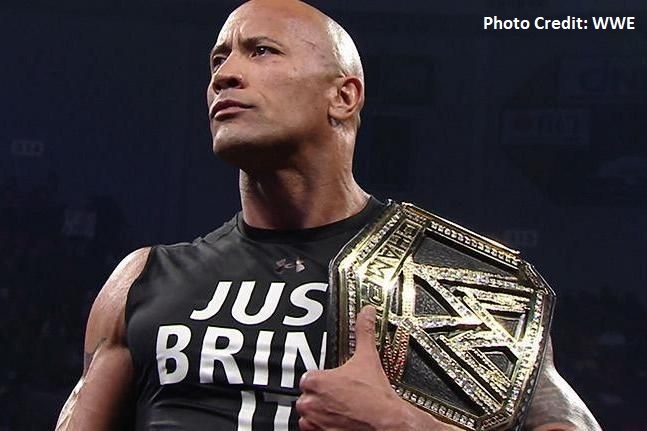 The Rock was also a special attraction from 2011-2013 when he made his return to the WWE, even becoming champion at the 2013 Royal Rumble. Even then, fans were somewhat rubbed the wrong way by the WWE Champion not being on television for weeks at a time, but to The Rock’s credit and to the credit of the decision makers of WWE, then-WWE Champion The Rock did show up at every pay-per-view offered by the RAW brand during his time as champion. He won the title at the Royal Rumble defeating CM Punk, retained the title at the elimination chamber, and lost the title to John Cena at Wrestlemania 29. I must say that Brock Lesnar’s reign as WWE Universal champion has led to many more missed shows than The Rock ever had as a special feature world champion. Let’s just use the latest string of pay-per-views as an example. From Brock Lesnar retaining the Universal Championship at the Greatest Royal Rumble in April 2018, Lesnar, the champion of Monday Night Raw (WWE’s flagship show for 25 years), has not made a single title defense, or even made an appearance live in the arena on television since that date (This article written June 2018). We just saw the conclusion of a tremendous pay-per-view offering by WWE, Money in the Bank, which Brock Lesnar was not a part of, and it’s this writer’s opinion that the reason WWE has decided to co-brand pay-per-views moving forward is to ensure the WWE Championship, representing SmackDown and currently held by AJ Styles, would be defended on a monthly basis, at least giving the fans the chance to see one of their two top title holders defend on a pay-per-view every month. Will Brock Lesnar be on an upcoming Monday night Raw episode in the month of June and July? We don’t know. Will Brock Lesnar be apart of the Extreme Rules pay-per-view in the month of July? 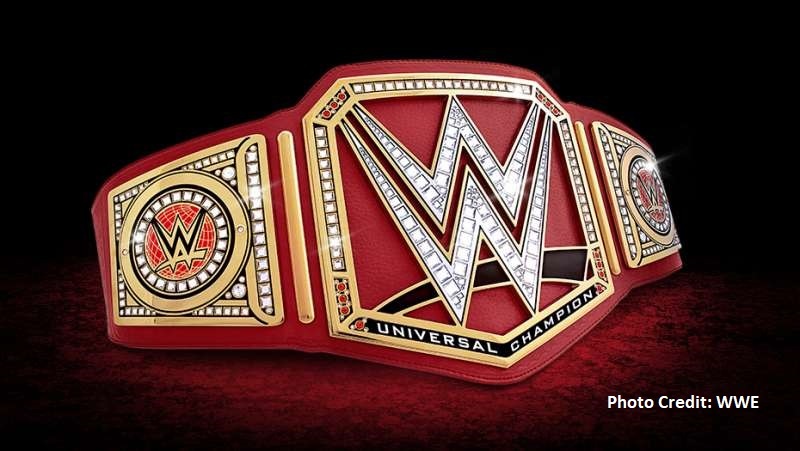 We don’t know, however what I do know is, the fans deserve a champion that will be available to defend the title on a monthly basis, and even though Brock Lesnar is a once-in-a-lifetime, generationally gifted athlete, if he cannot defend the WWE Universal championship at least on monthly pay-per-views, someone else should be a champion. Once again, Brock Lesnar is not the issue, Paul Heyman is not the issue, and even Brock being a part-time special feature on RAW is not the issue because seeing Brock, even a handful of times per year, is something the fans appreciate. That being said however, to reiterate my earlier point, the fans deserve a champion who can defend Monday Night RAW’s most coveted title on a regular basis, and if that can’t happen with Brock Lesnar, it needs to happen with someone else. —> We are more than entitled to our own opinions, so if you think I’m wrong, feel free to let me know, but before you do… Think about it…. —> Imagine Hulk Hogan in the 1980’s, as world champion not appearing on WWE television or pay-per-view for 2-3 months at a time…..
—> Apply that same time frame for world champions (during their reign as champ) like HBK, Triple H, The Rock, Stone Cold, Chris Jericho or any other world champion. Think about your world heavyweight champion being out of sight for months at a time…..
—-> Doesn’t sound too good does it? Well, if it wouldn’t have been good then, why would it be good now?